Don’t forget to check our live calendar on a regular basis, new shows are coming in! 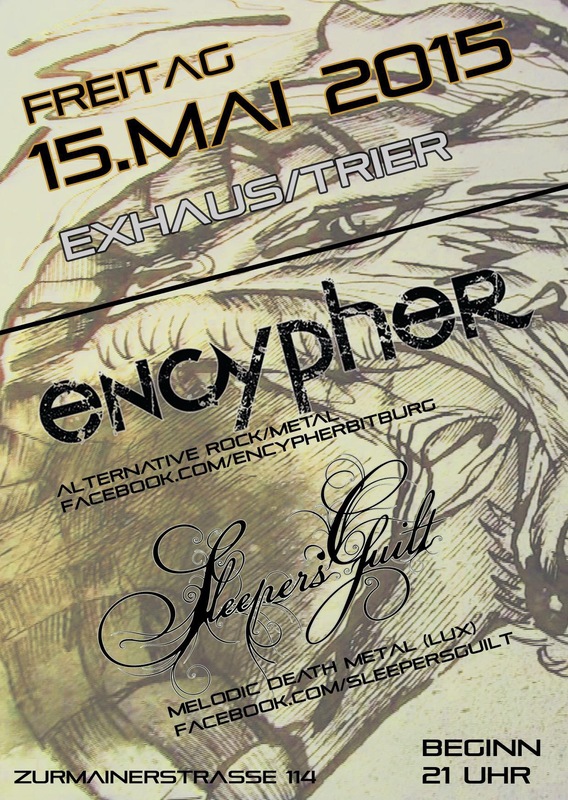 On 15th May, just the night before rocking the infamous MetalFestival Kopstal, we have a fabulous show at the Exhaus in Trier (D) with our mates from encypher! Find all details for this event right here! This entry was posted on 27. April 2015 by Sleepers' Guilt. It was filed under Music and was tagged with Deutschland, encypher, exhaus, Festival, Germany, Kopstal, metalfestival, Shows, Trier.